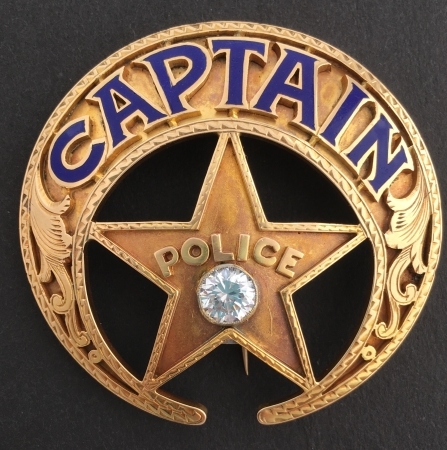 Fine Jeweler-Made, Gold, Enameled and Diamond Mounted New Orleans Firemans Medal / Badge/Token of Esteem. 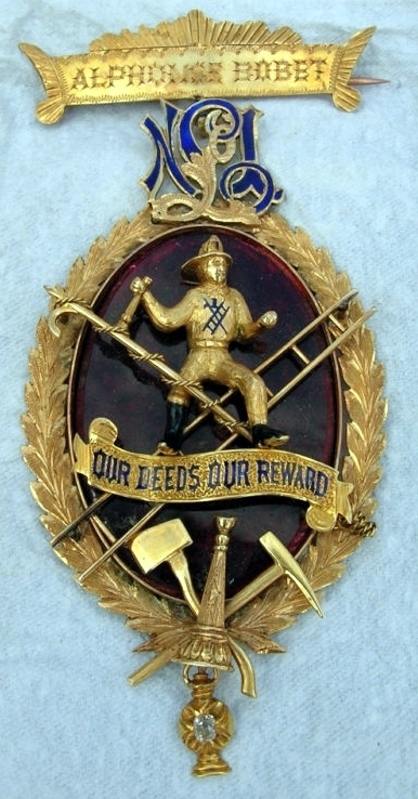 Finely engraved, appliqued three dimensional Fireman with his "tools of the trade" and hard fired enameled ribban reading, Our Deeds Our Reward. Beneath the engraved name banner in hard fired blue enamel is, "No 1" surmounted by a gold letter "L" representing Lafayette No. 1 Hook and Ladder Company. 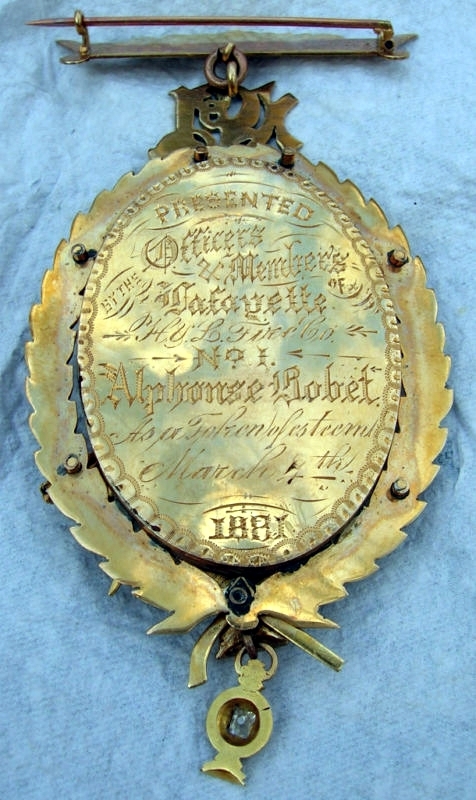 Reverse with presentation inscription reading: Presented By The Officers & Members of Lafayette H & L Fire Co. No. 1 Alphonse Bobet As A Token of esteem March 4th 1881. Approximately 4 1/2 inches tall and 2 inches wide adorned with a 12 point mine cut diamond ( hanging from bottom). Presented By The Officers & Members of Lafayette H & L Fire Co. No. 1 Alphonse Bobet As A Token of esteem March 4th 1881.